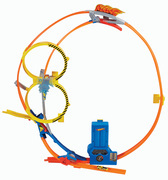 Epic thrills are right on track with a Hot Wheels® Track Builder stunt that expands the world of play! 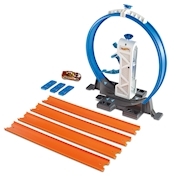 The Robo Boost sends a Hot Wheels® car zooming around a 90-degree curve for high-speed, twisting and turning thrills. 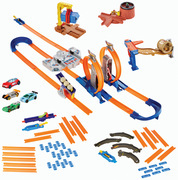 Each stunt in the collection includes connectors, track pieces and one Hot Wheels® vehicle. 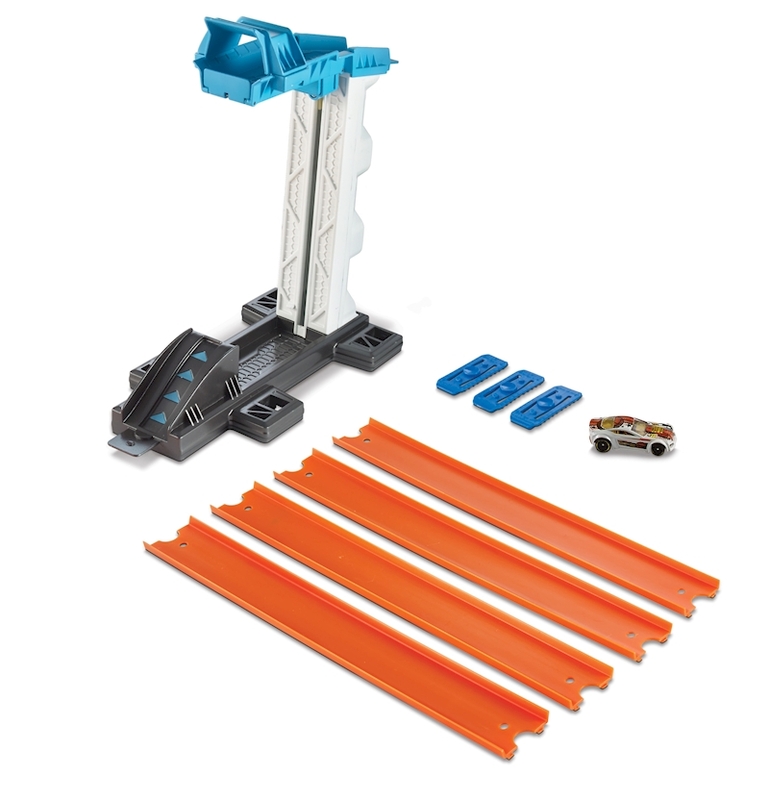 Combined, they give kids four exciting ways to keep the track action going! Collect them all! Each sold separately, subject to availability. Colors and decorations may vary.